Sunderland took a big step towards automatic promotion yesterday as they defeated Walsall 2-1 at the Stadium of Light. Coupled with Barnsley’s draw against Doncaster on Friday night, the pendulum has once again swung in Jack Ross’ favour. His side are now two points behind the Tykes, but have a game in hand and are back in control of their own destiny. They now turn their attention away from the league and focus on a Wembley date with Portsmouth. That takes place on March 31st but, thanks to the international break, it will be the Black Cats’ next fixture. By the time they’re back in action in League One they’ll have three games in hand of Daniel Stendel’s side. 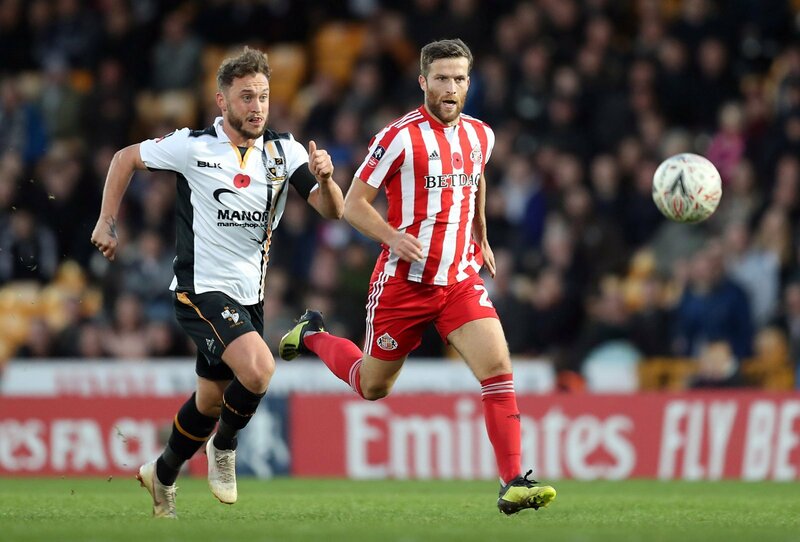 There’s already an injury worry for the EFL Trophy final though, with full back Adam Matthews a doubt for the clash that promises to be virtually sold out. He was forced off against the Saddlers and went straight down the tunnel to the treatment room. The former Celtic defender has appeared 26 times for the Black Cats this season, 19 of those coming as starts in League One. There’s two weeks for him to recover, which should give him some breathing space, but Sunderland’s squad is big enough to cover this even if he doesn’t make it. With Brian Oviedo, Reece James and Luke O’Nien all vying for a full back spot, it’s harsh on Matthews but not so much on the manager or squad.